Everton manager Marco Silva is adamant that he wants teenage prospect Anthony Gordon to stay at the club this season, following rumours that a number of clubs across Europe were weighing up a bid in January. 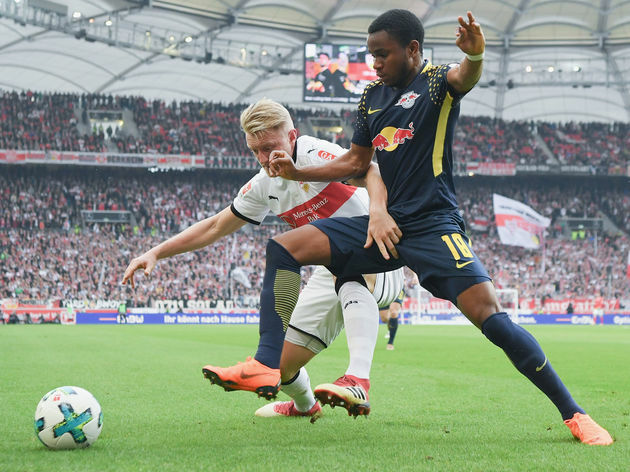 It is understood that Arsenal have been scouting the 17-year-old midfielder, while Bayern Munich and Borussia Dortmund want to continue the current trend of bringing young English players to Germany. However, Silva will advise against any transfer similar to that which saw Ademola Lookman move to the Bundesliga, claiming that Everton have to be able to hold onto their most promising young players. “He’s a really young player, he’s a talent and he’s a player we want to keep of course,” Silva said, quoted by the Liverpool Echo. “It’s our goal to keep our best players and not just the players from our first team but the young talents in our club too. It’s our goal if we want to grow and we want to achieve something important. Gordon has been a regular part of Everton’s Under-18 side this season, and he already has five appearances with the Under-23 side this term. Marco Silva has sais that he will fight off interest from clubs interested in signing young midfielder Anthony Gordon. Last year, Gordon made his debut for the senior side as a second-half substitute during their Europa League group stage victory over Cypriot outfit Apollon Limassol. Previous articleBayern Midfielder Will See Out His Contract.